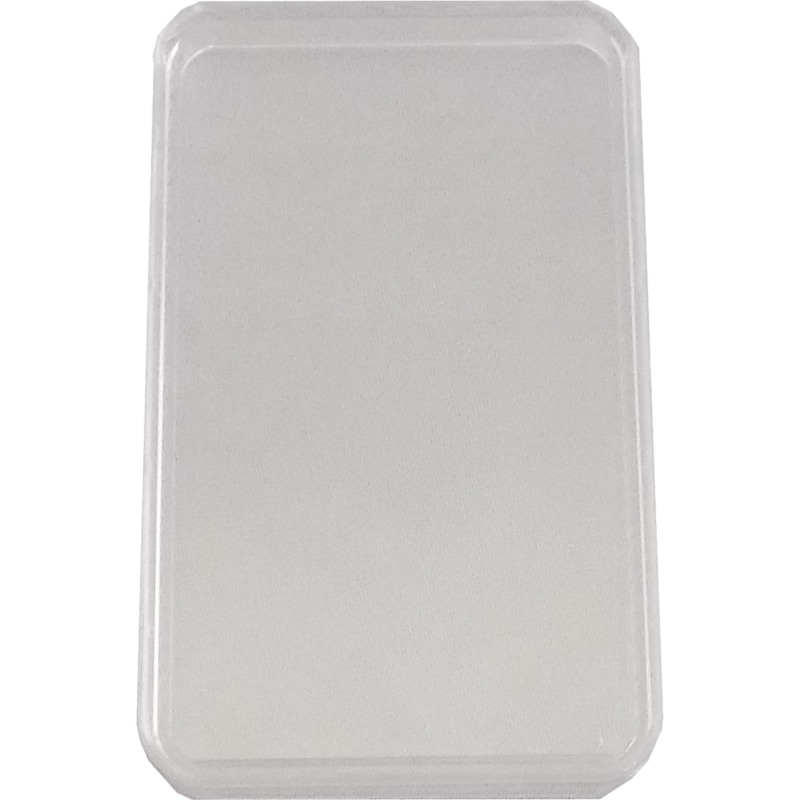 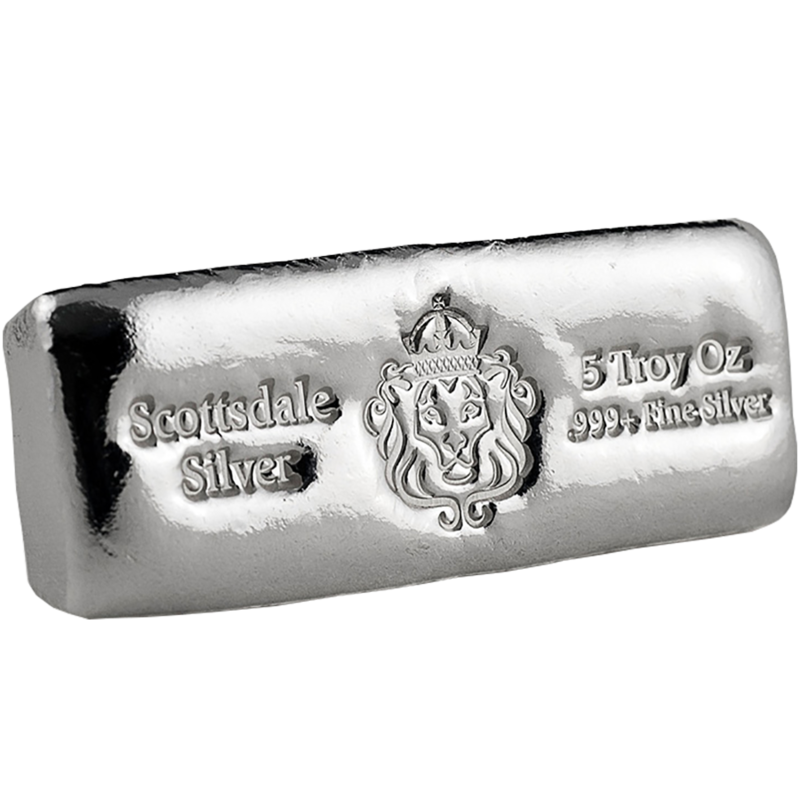 The obverse of the Scottsdale Mint 5oz Prey Bar is a quality investment bar which features an up close & enlarged illustration of the Scottsdale lion. 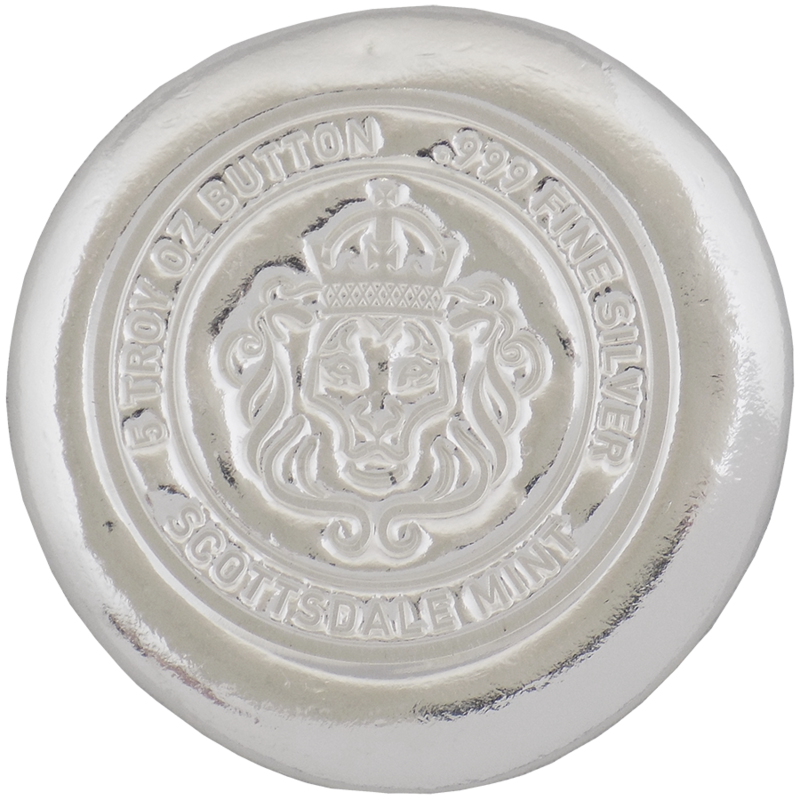 To the right of this illustration are details of the weight and fineness. 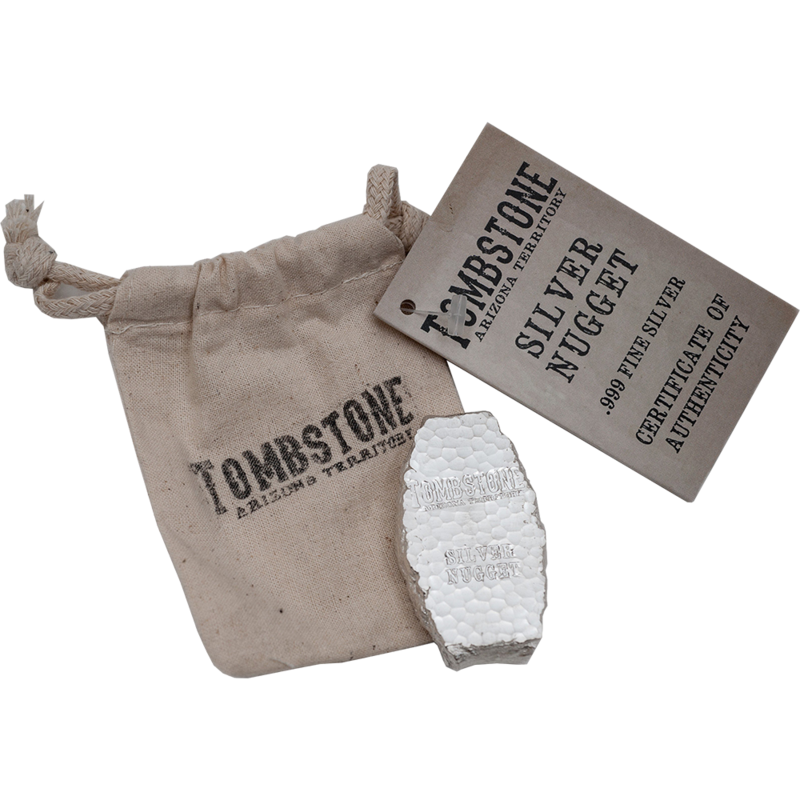 Underneath this is inscribed 'In God We Trust'. 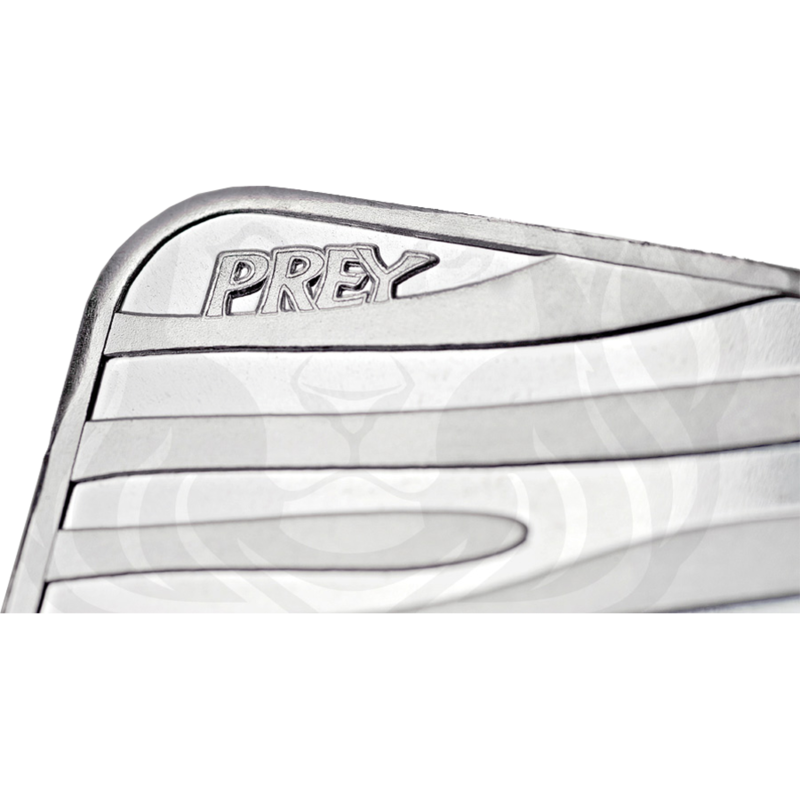 The reverse of the bar features a stripe design, with the word 'Prey' inscribed into the top left corner. 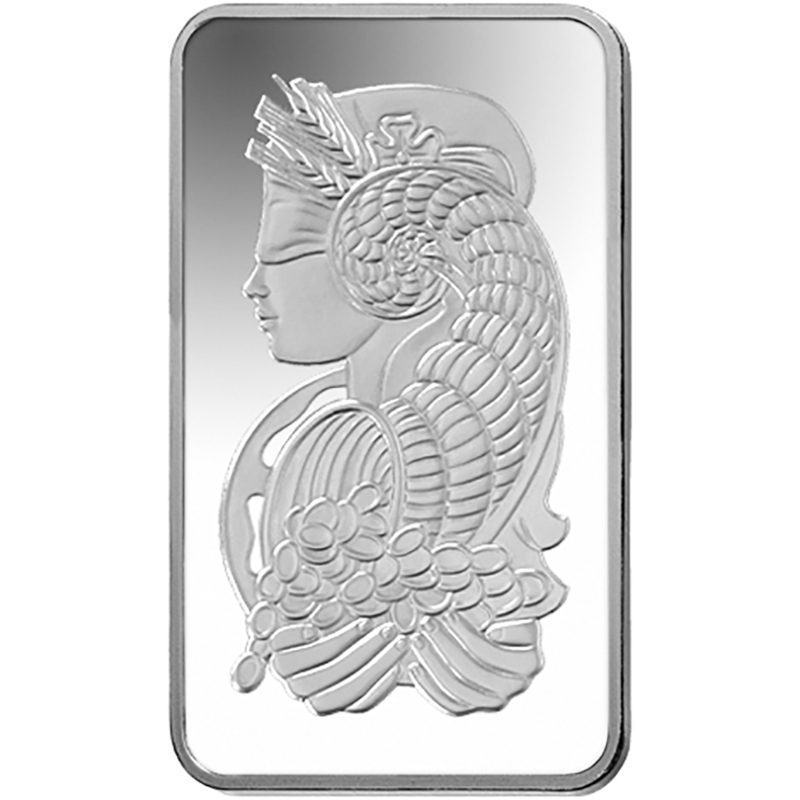 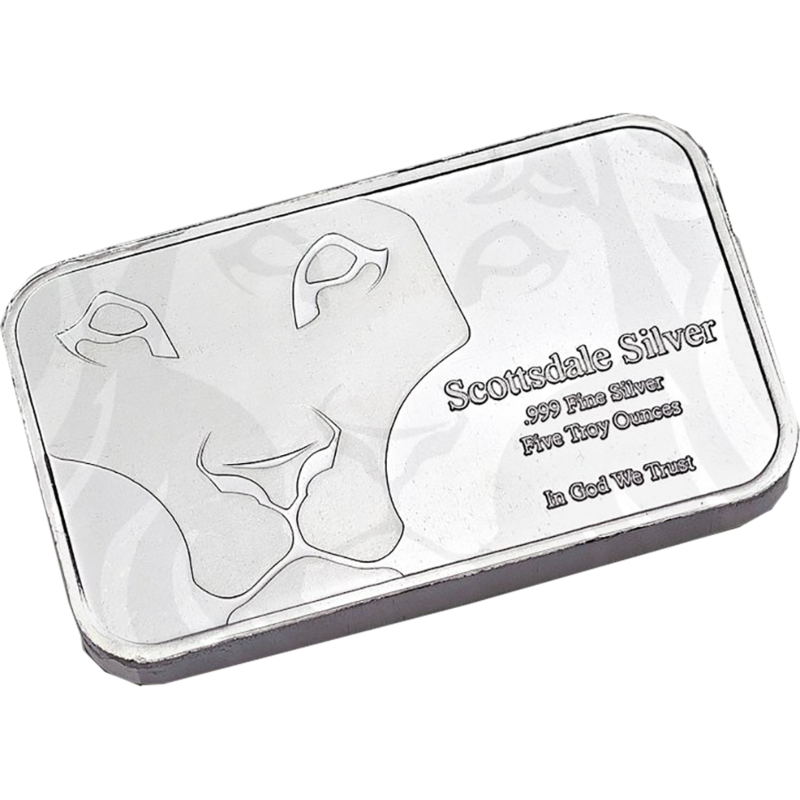 This 5oz silver bar accentuates the Scottsdale Lion like never before. 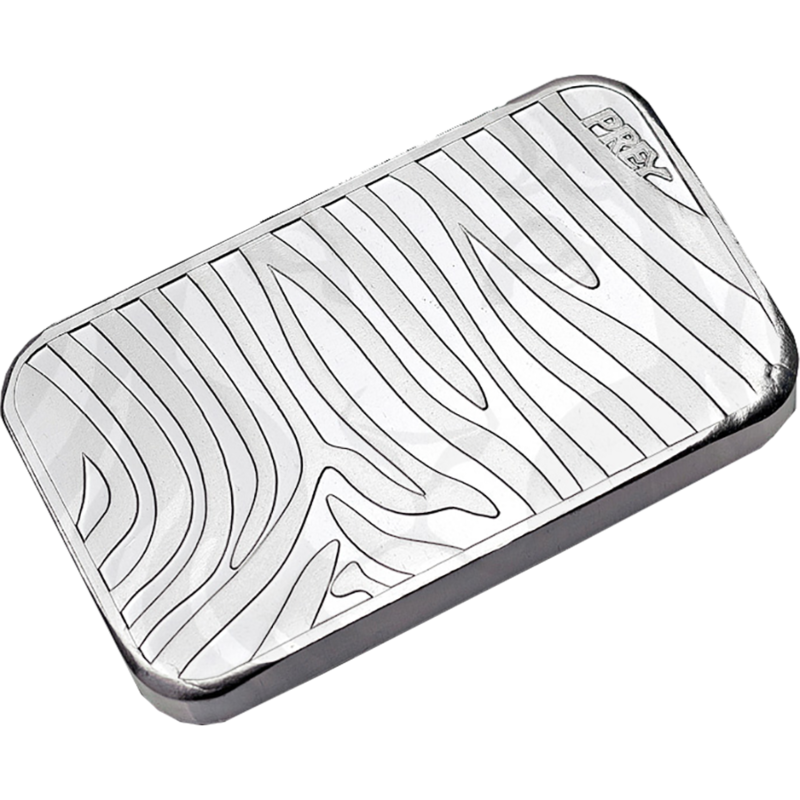 The all new design is an avant-garde interpretation of the classic hunter vs. prey analogy. 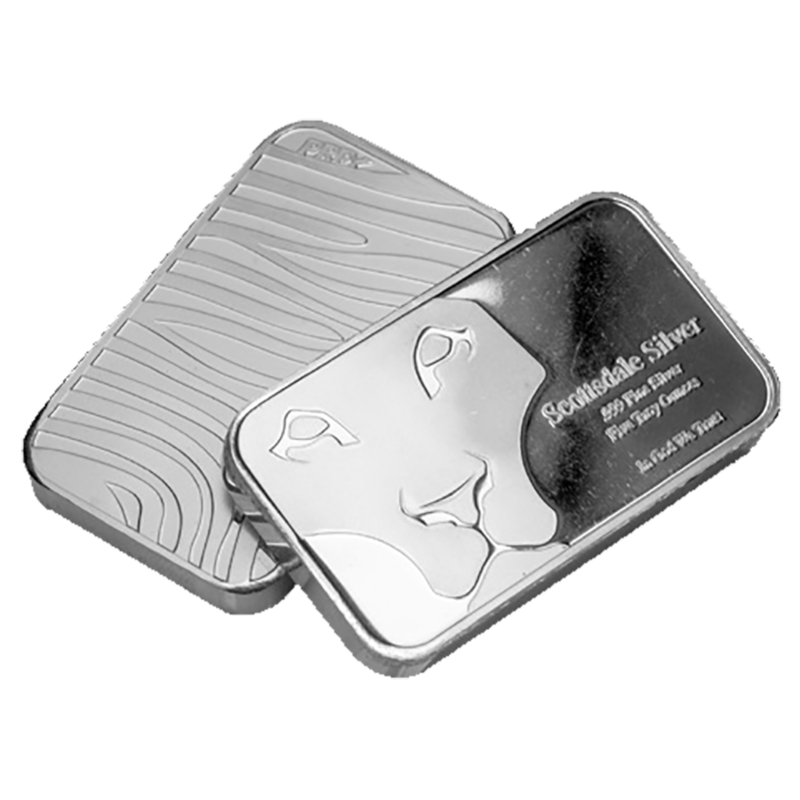 The bars are produced with unique Rough Cut edges and sides, making this the meanest bar on the market today.